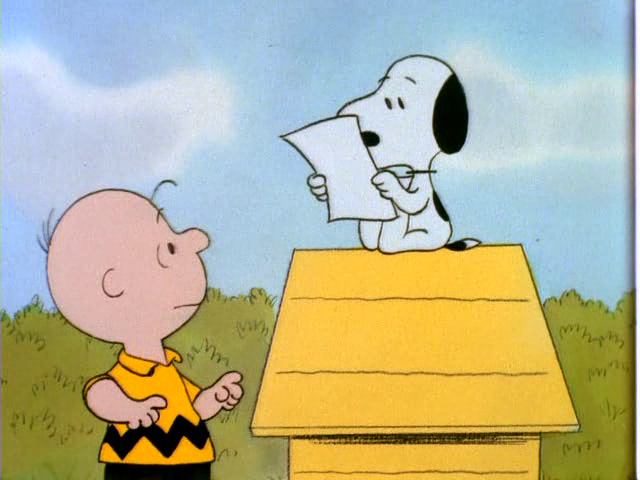 CBSS Page 4 - Snoopy And The Gang! 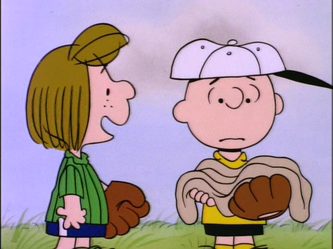 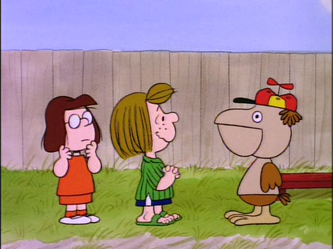 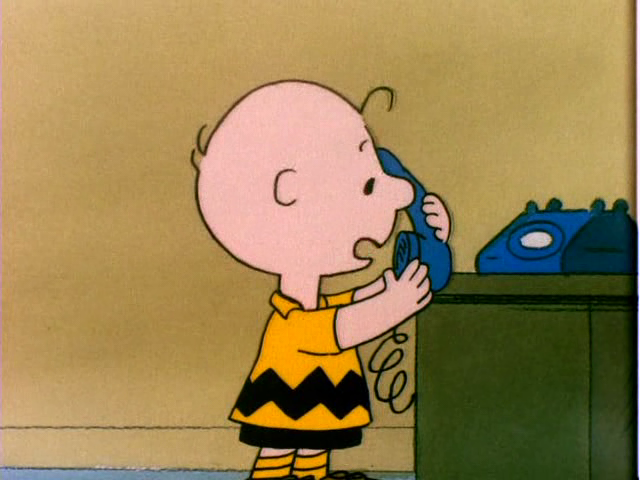 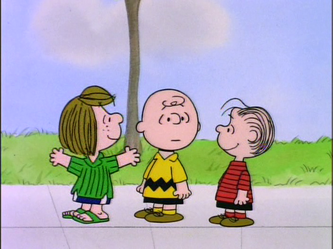 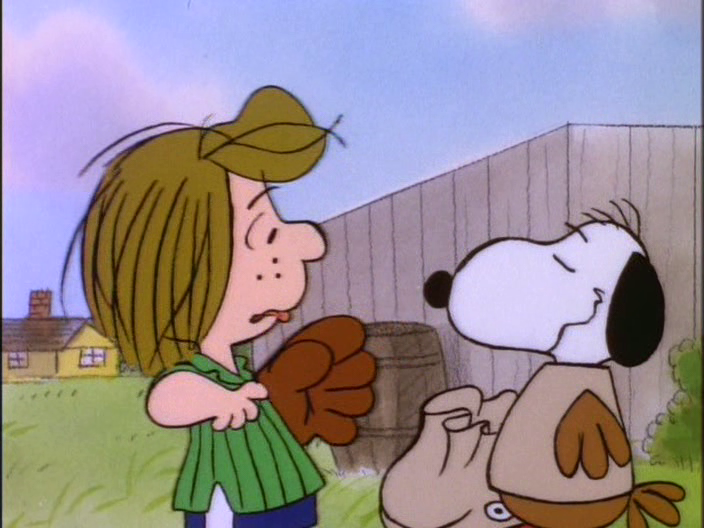 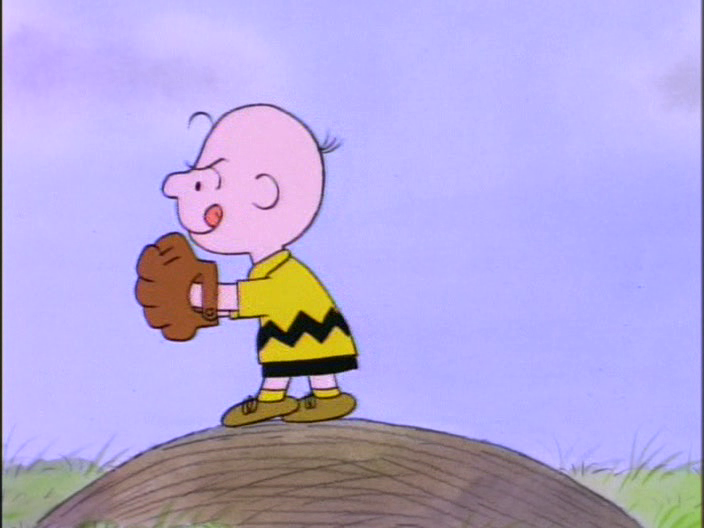 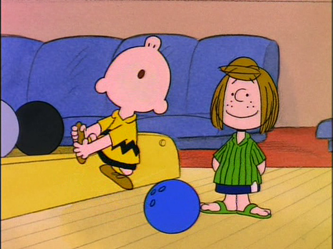 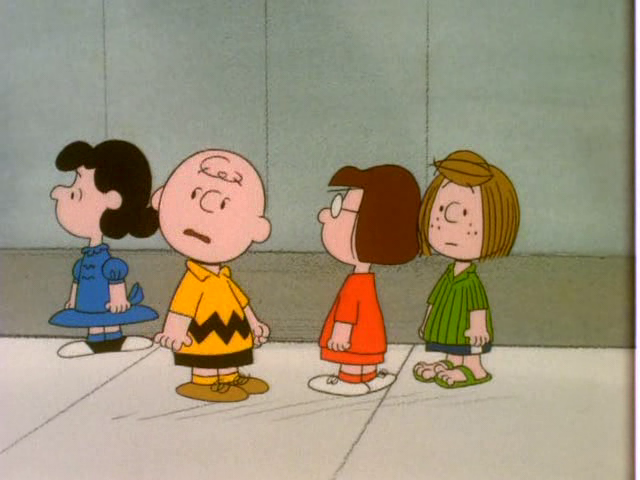 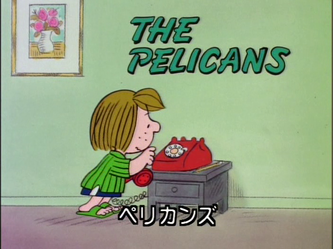 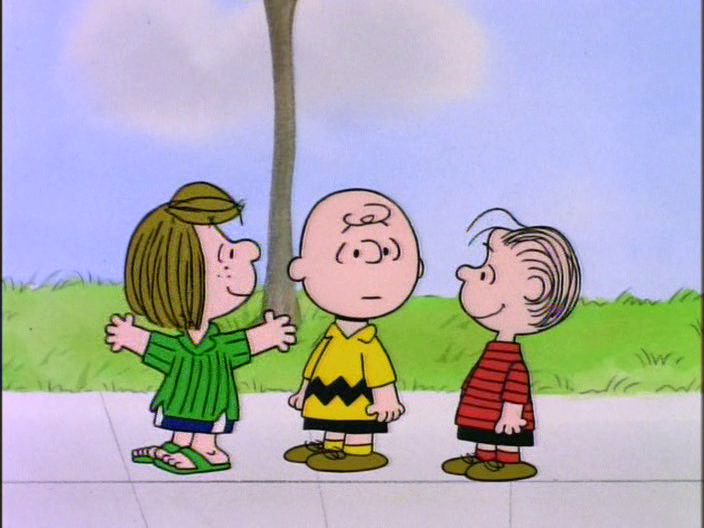 The Pelicans - Peppermint Patty invites Charlie Brown to help with a baseball game. 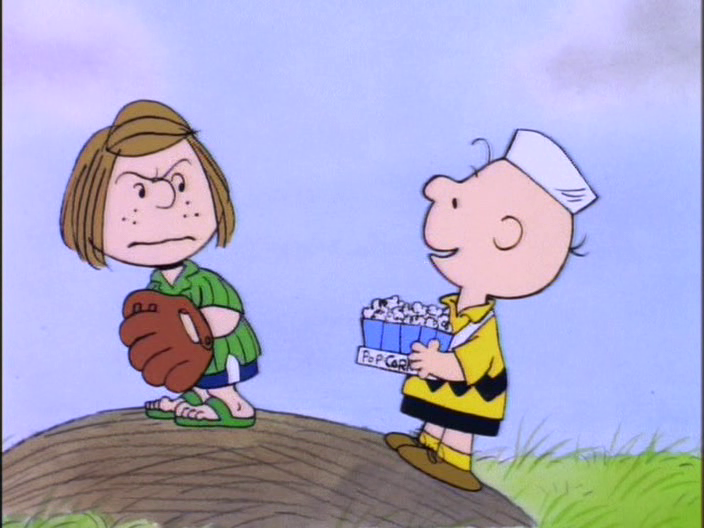 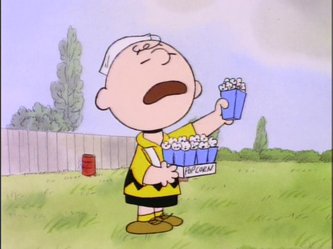 What Charlie doesn't realize is that she wants him to sell popcorn. 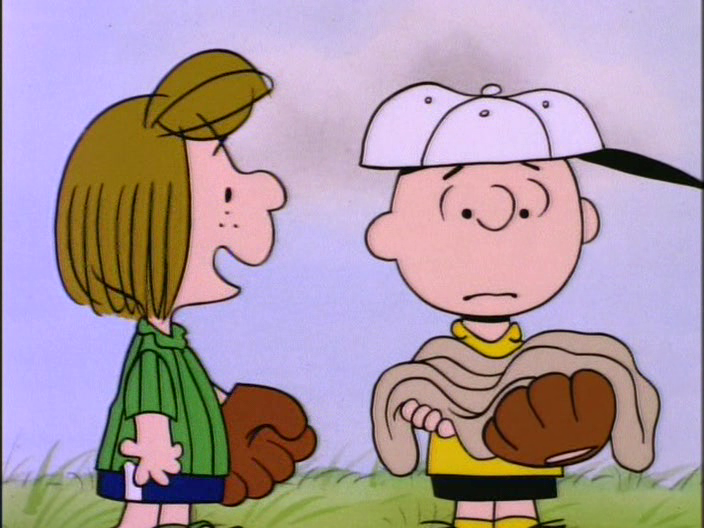 He tells her he'd rather pitch. She decides to let him pitch, and gets clobbered in the process. 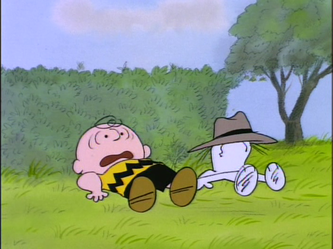 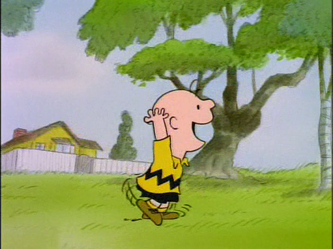 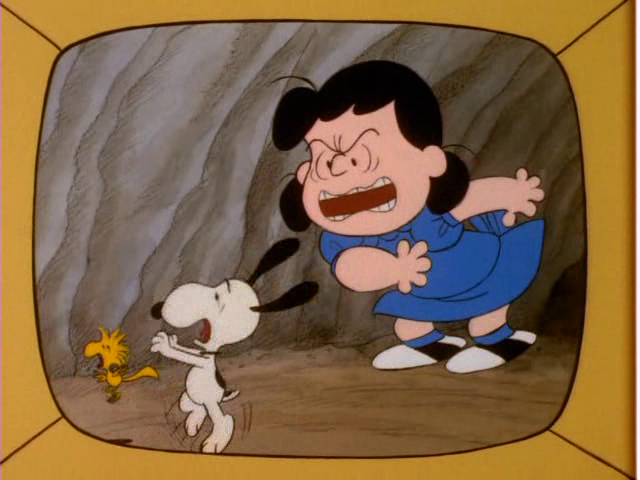 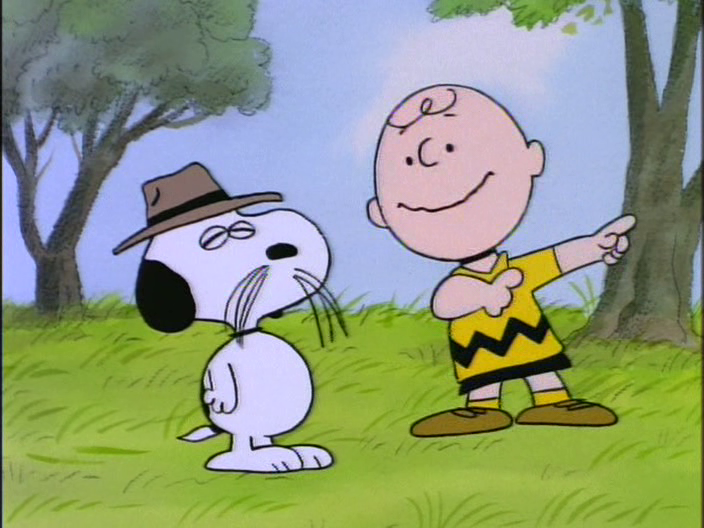 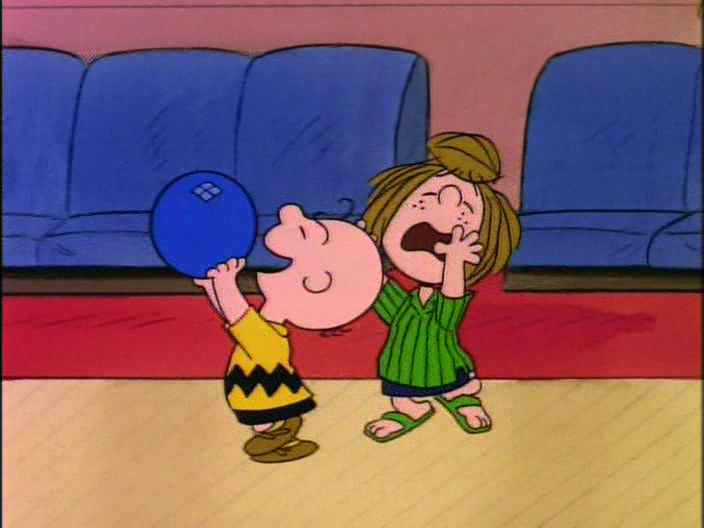 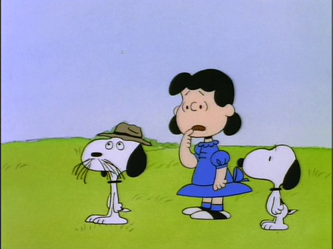 Charlie Brown loses the game, in which her team was way ahead. 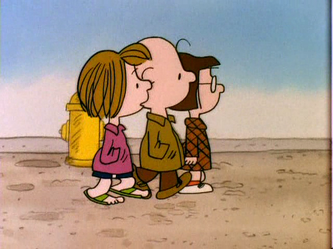 She lets him make up for it by becoming their mascot, which doesn't last long. 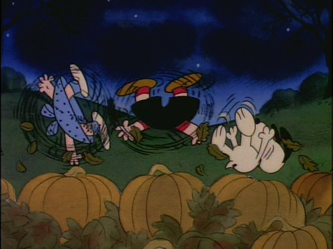 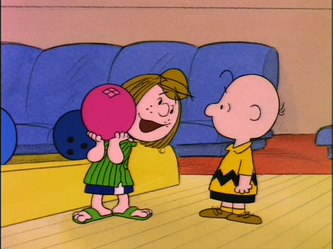 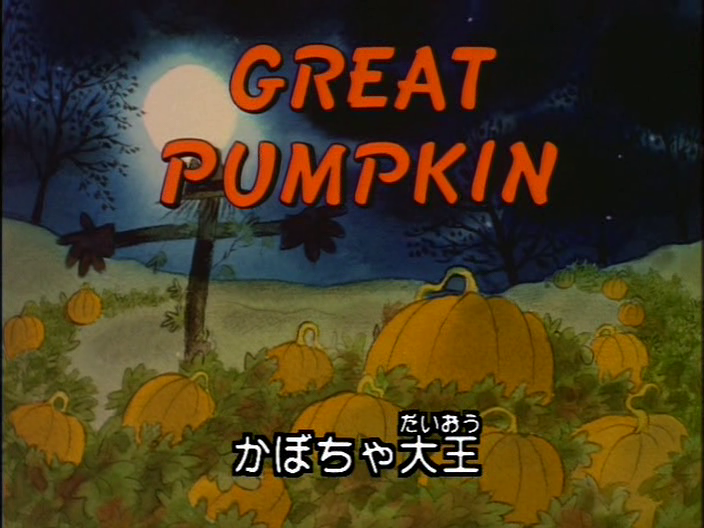 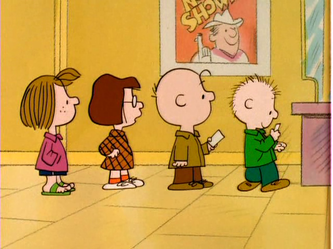 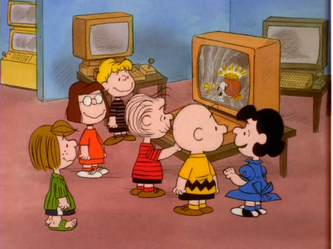 Great Pumpkin - Linus is excited about the Great Pumpkin's arrival, while Peppermint Patty takes Charlie Brown out to teach him about bowling. In the process, he throws one of the balls outside, which bowls the gang over. 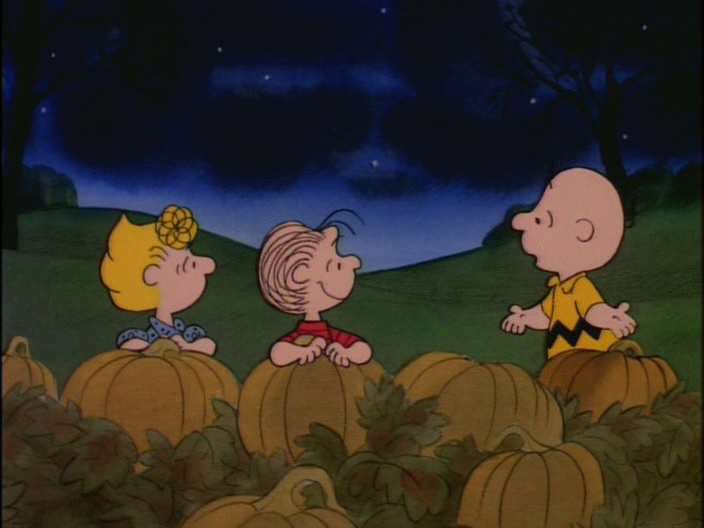 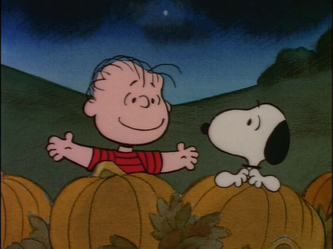 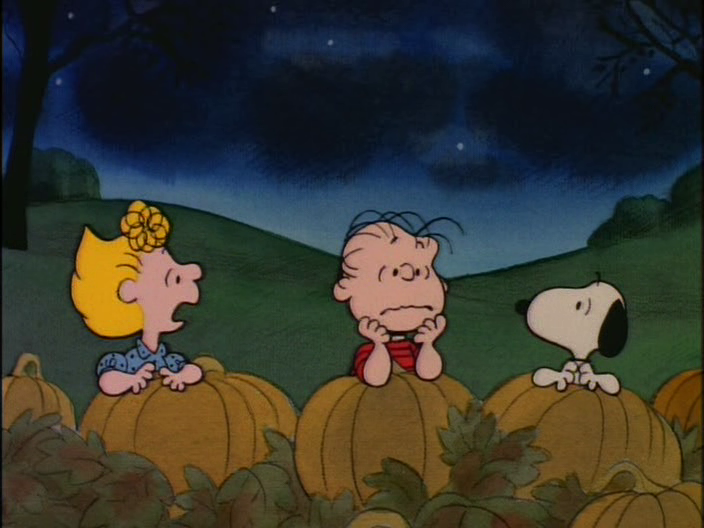 Linus thought the Great Pumpkin paid them a visit. 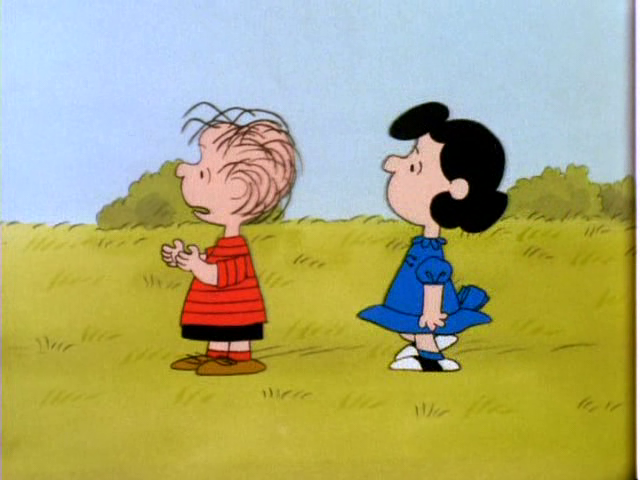 The rest of them, however, know better. 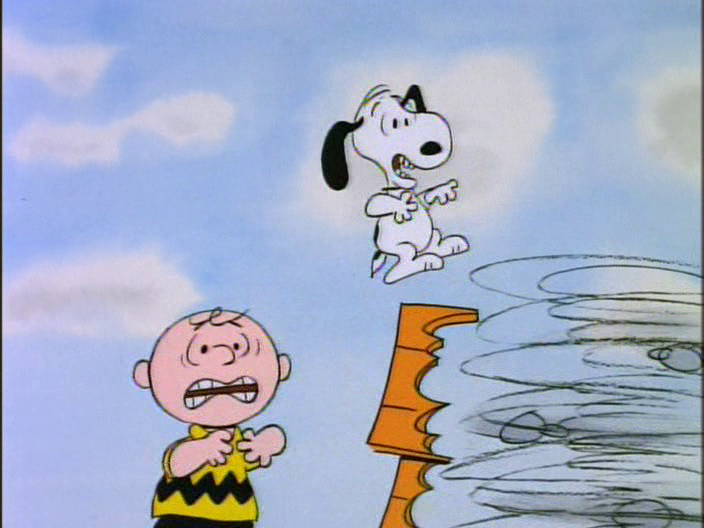 Spike - Snoopy's brother comes to visit, and the Cat Next Door is harassing Snoopy. Lucy decides to fatten him up. 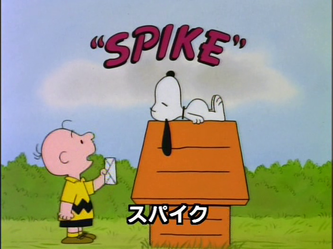 When she is done, Charlie sends Spike after the cat, but he Spike is so scared that he loses all the weight. 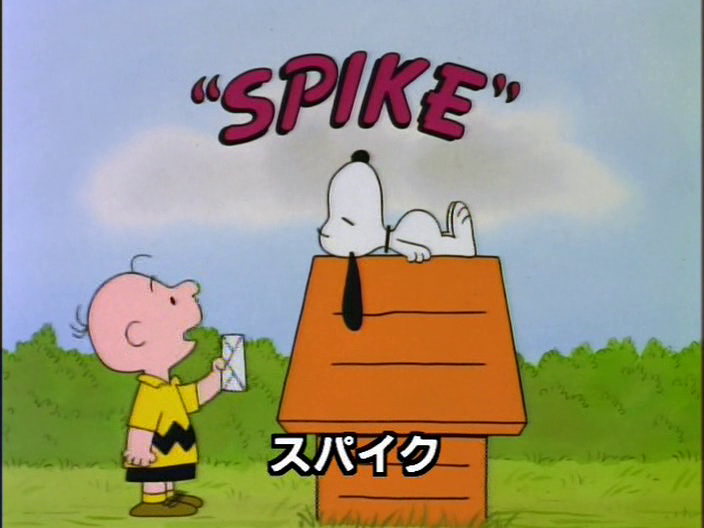 The cat then does what he does best, leaving Charlie and Spike on the ground. Snoopy's Robot - Snoopy takes the kids on a computer camp field trip. 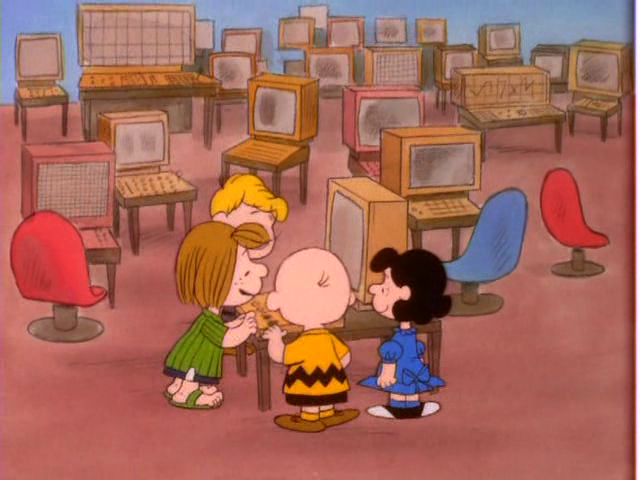 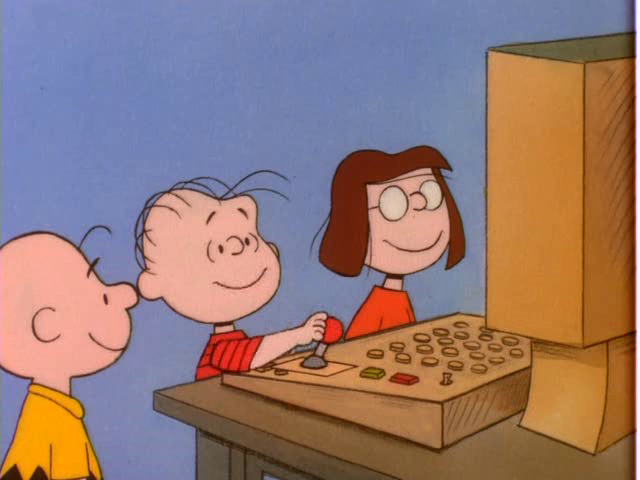 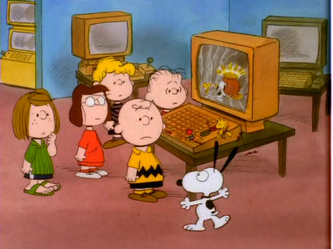 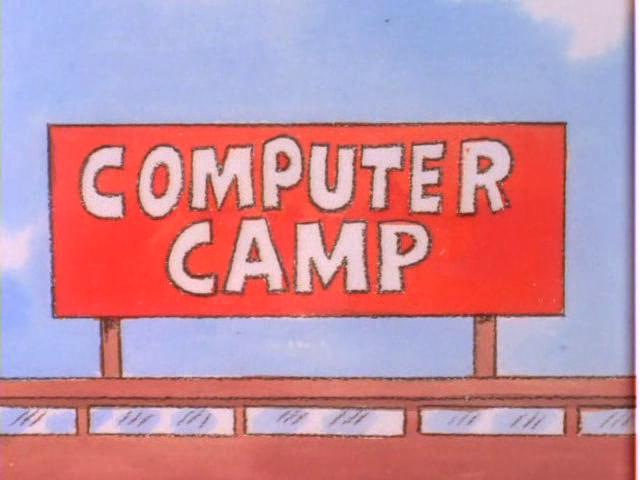 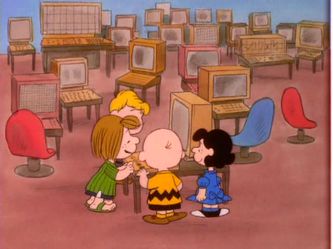 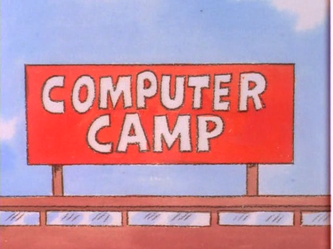 While there, they try out the computers, and Linus makes an adventure program with Lucy as the villain. 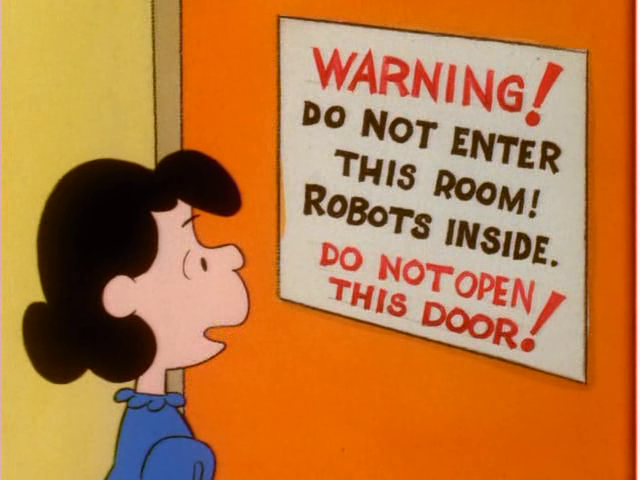 Later, Lucy discovers a robot room. 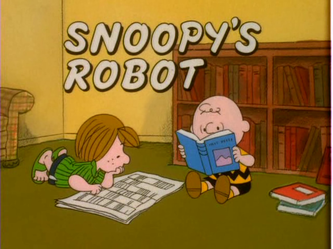 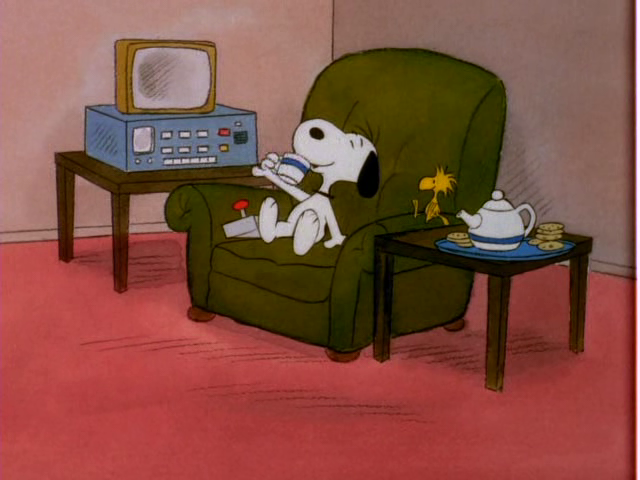 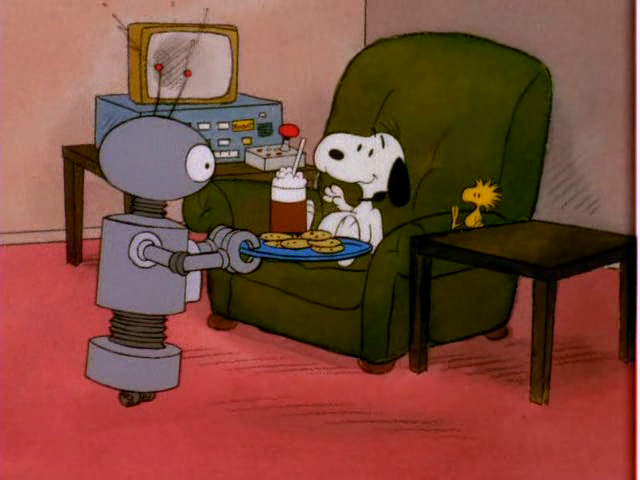 Snoopy, not paying attention, walks into the room with Woodstock and makes the robot serve him root beer and cookies. 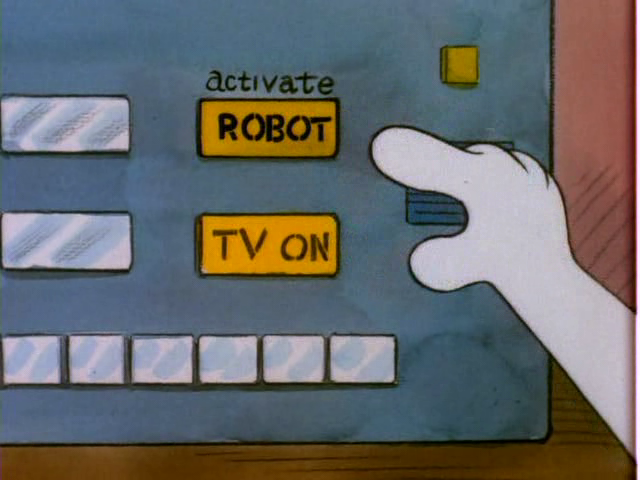 The robot soon turns on him and makes him do things. 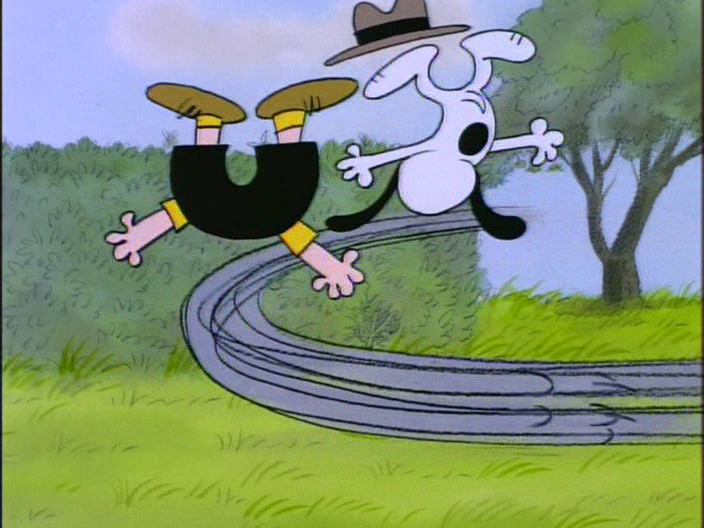 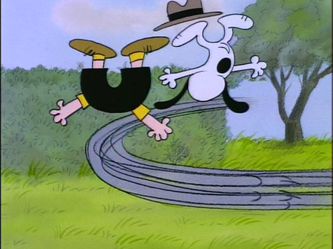 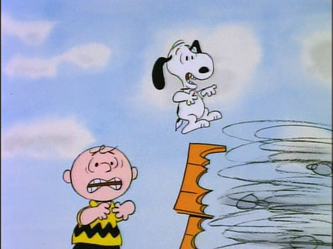 Snoopy runs away and tells the kids they should too. 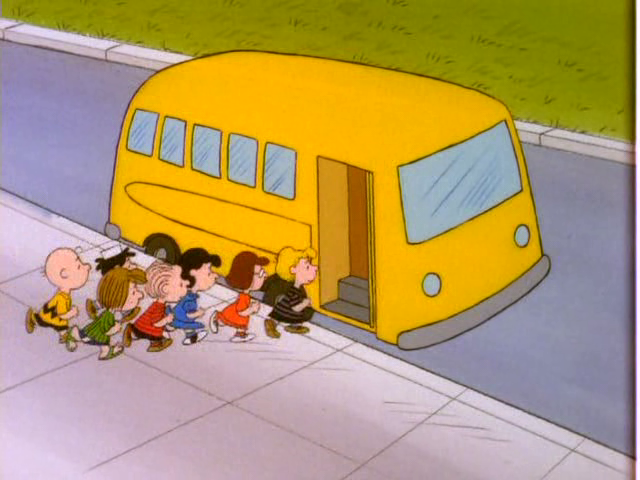 They all get back on the bus and take off. 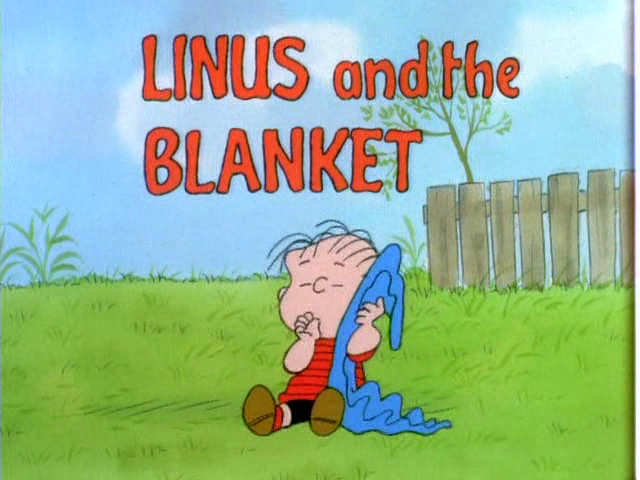 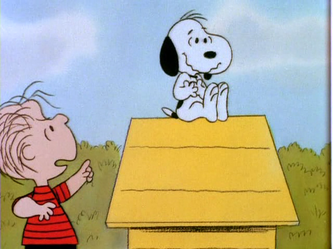 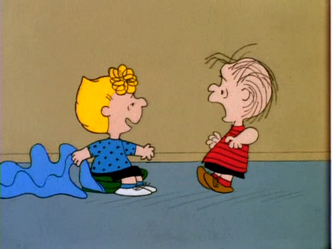 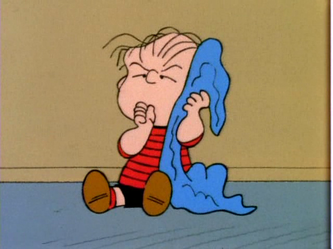 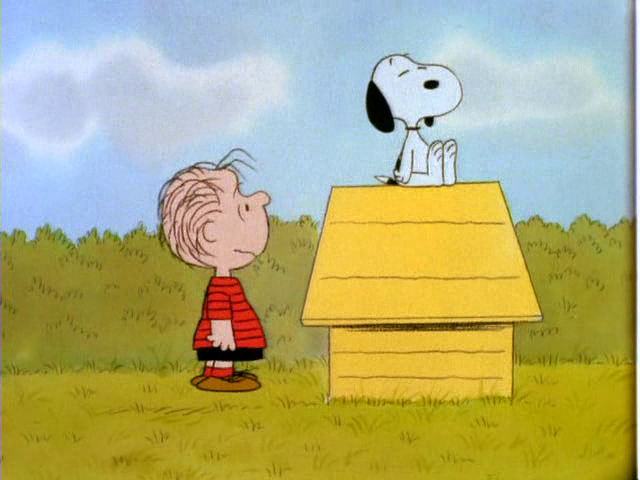 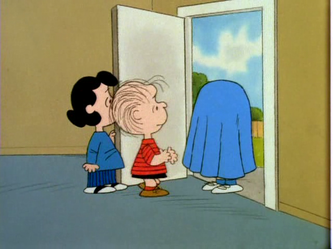 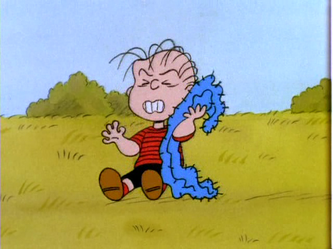 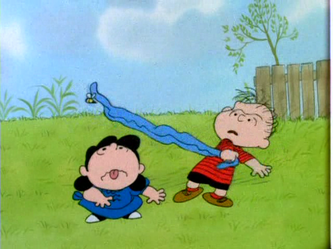 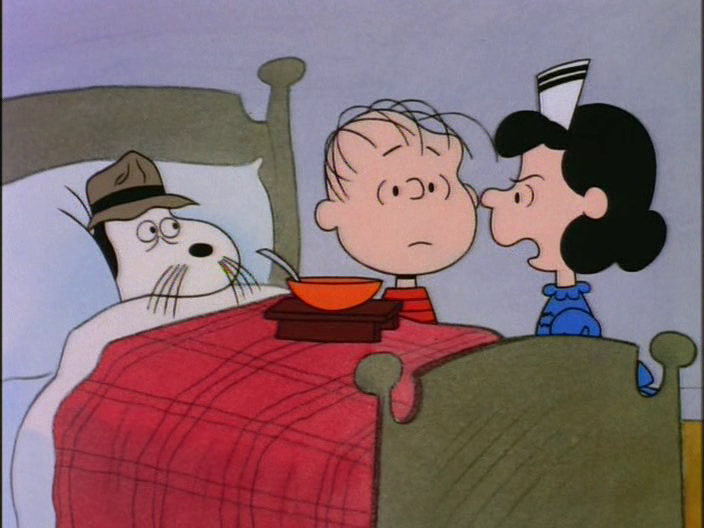 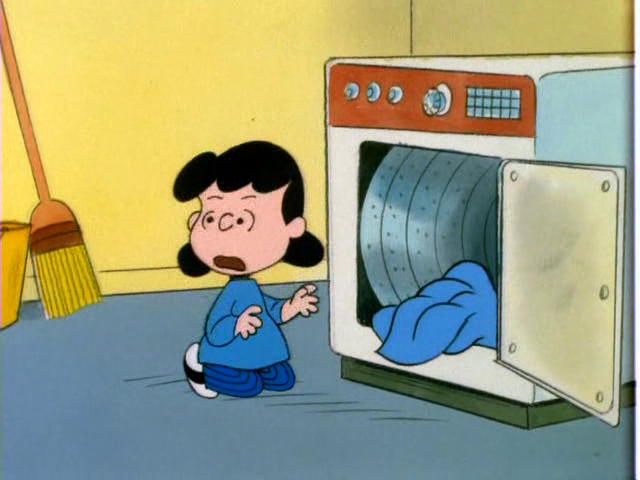 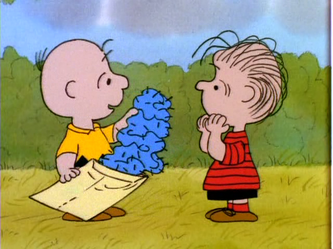 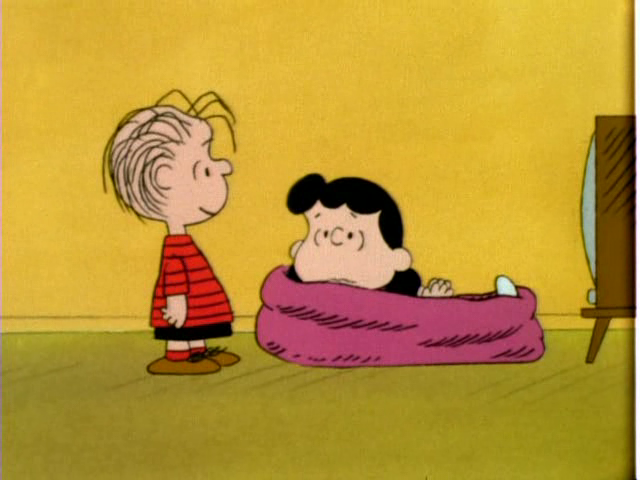 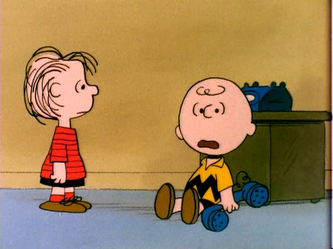 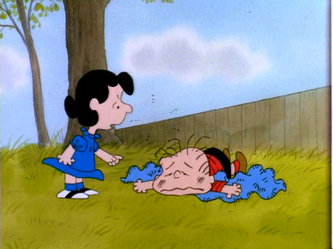 Linus and the Blanket - Lucy wants Linus to get rid of his blanket, so he tries. 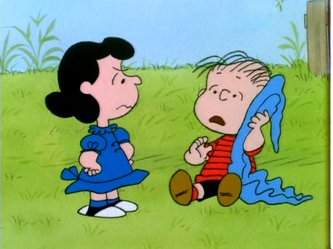 He then decides to hold a clinic for kids who are dependent on their blankets, and is fooled into getting his blanket habit back by Sally. 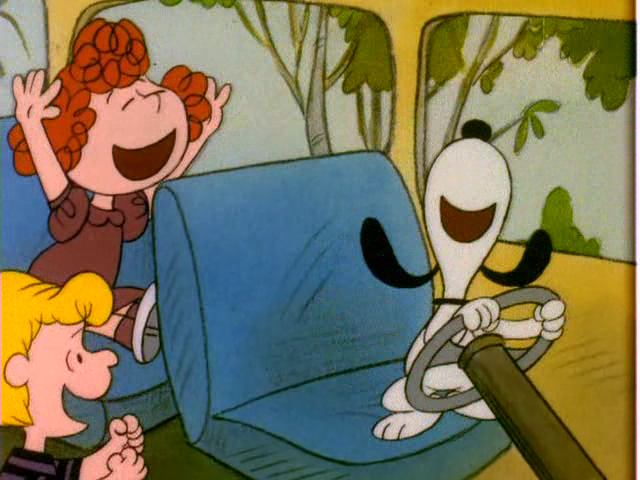 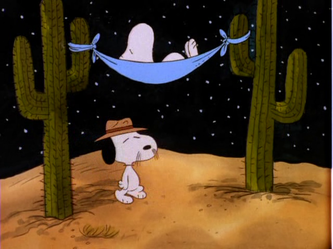 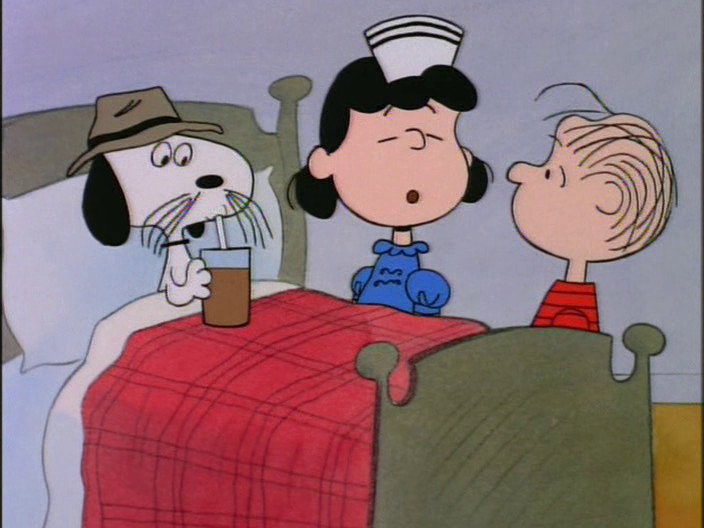 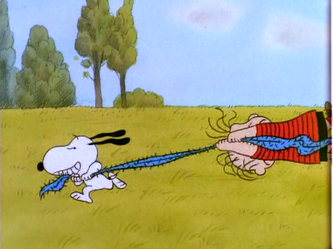 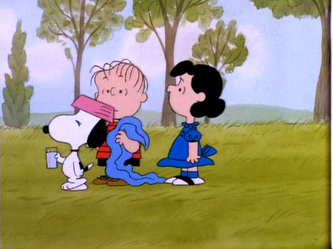 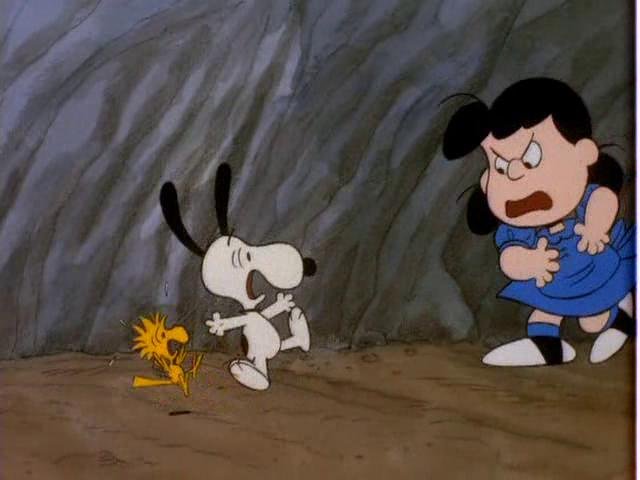 Snoopy decides to visit his brother Spike, and Lucy gives Snoopy the blanket for his trip. 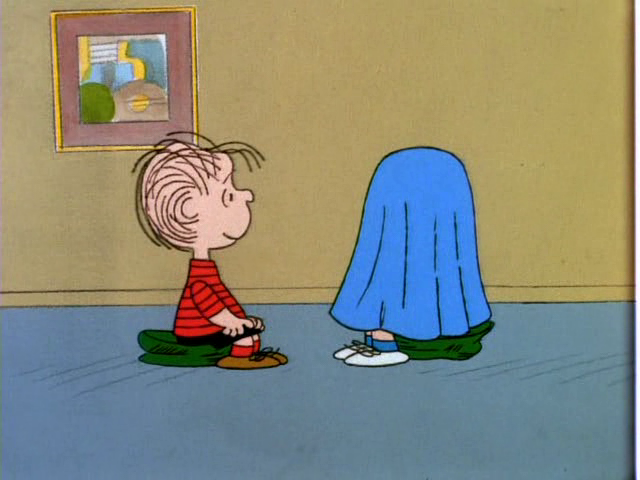 When he finally returns, he doesn't have the blanket. It is mailed back to him, complete with needles from the cactus it was attached to. 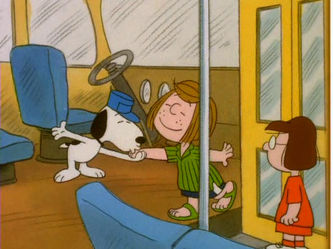 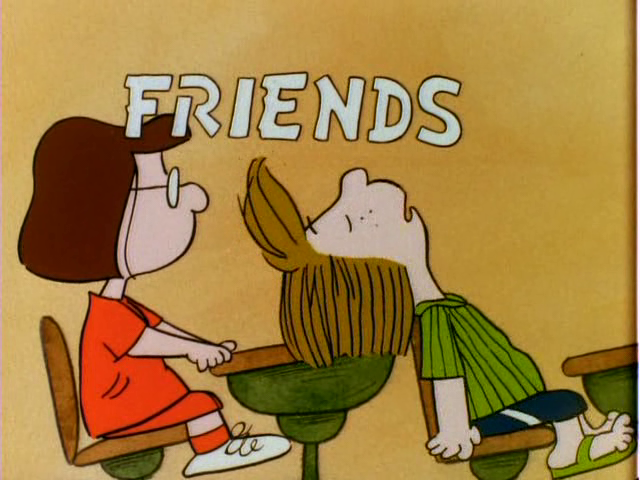 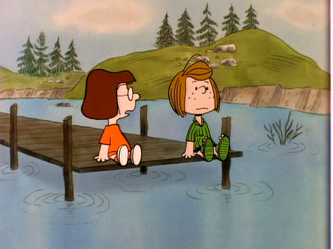 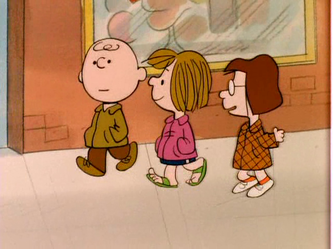 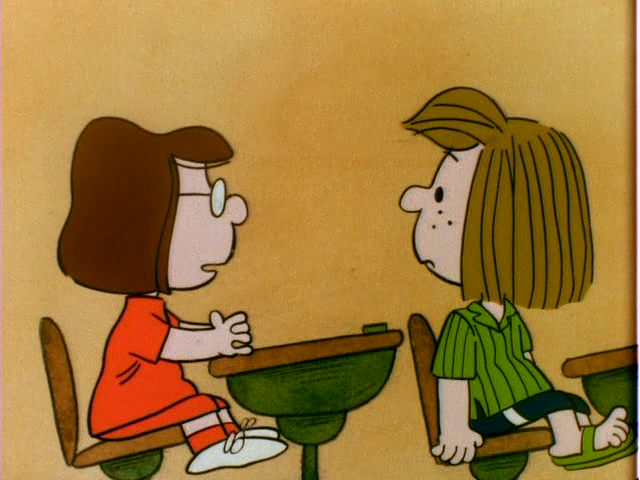 Friends - Marcie and Peppermint Patty both decide to go on a date with Charlie Brown, and they both boss him around during the date. He gets very angry. 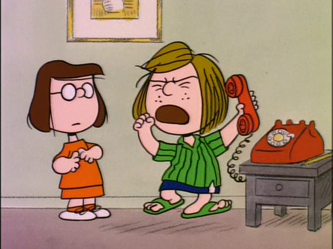 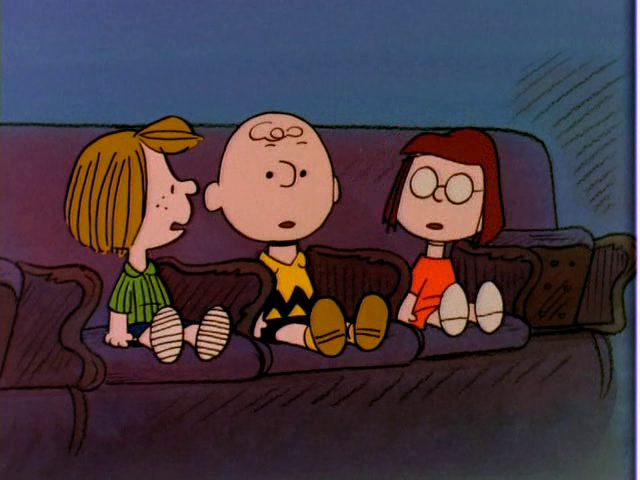 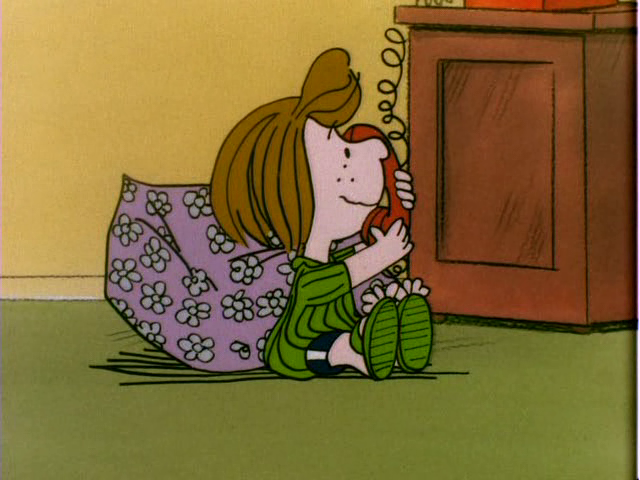 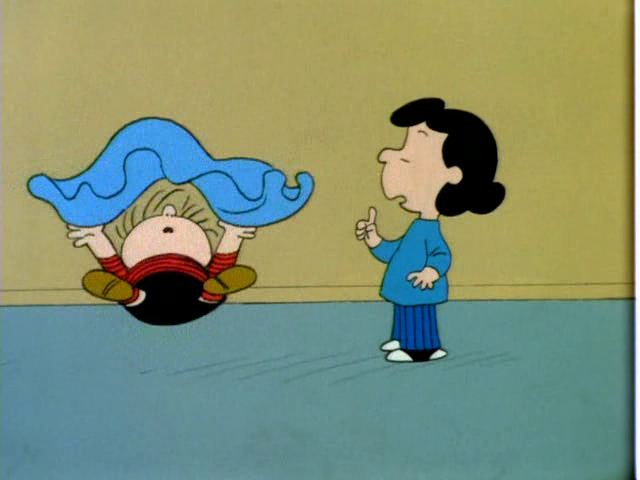 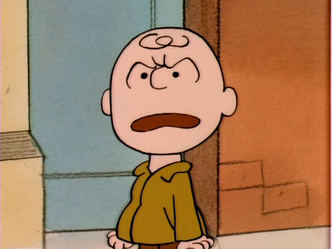 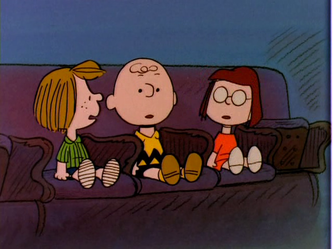 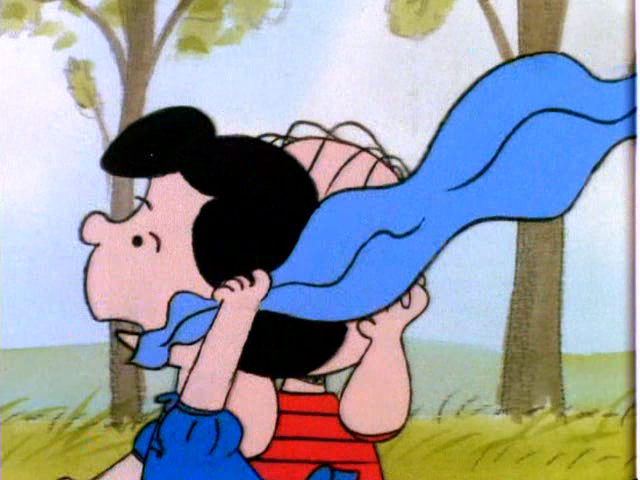 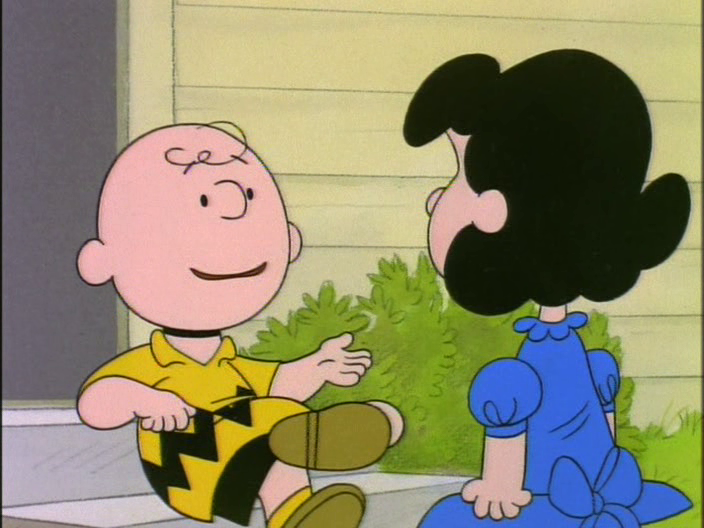 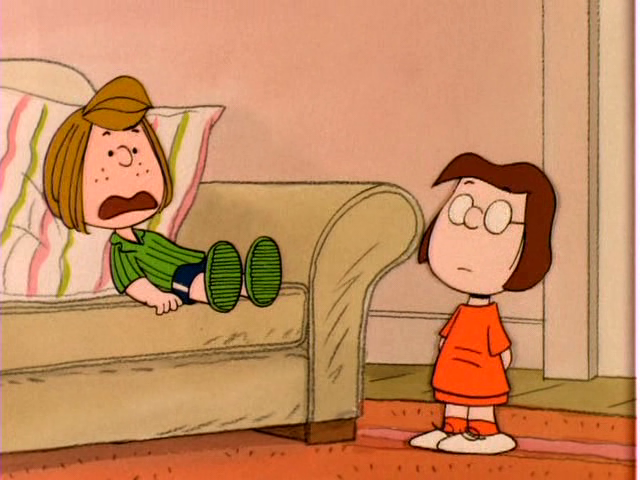 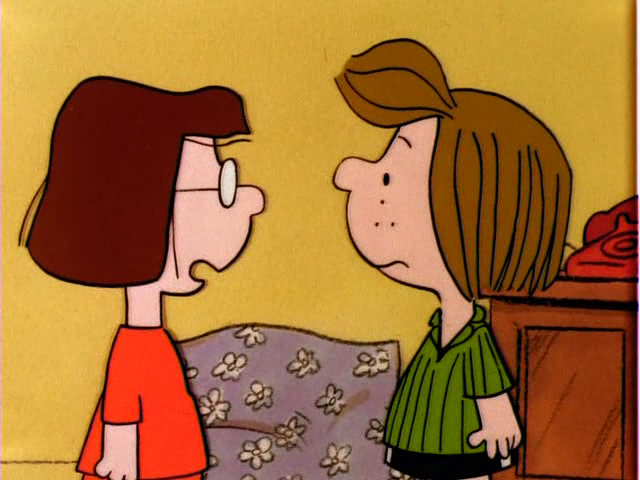 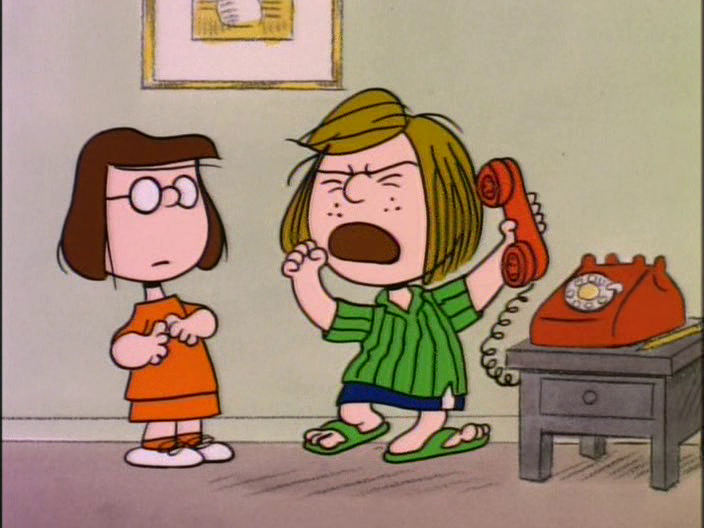 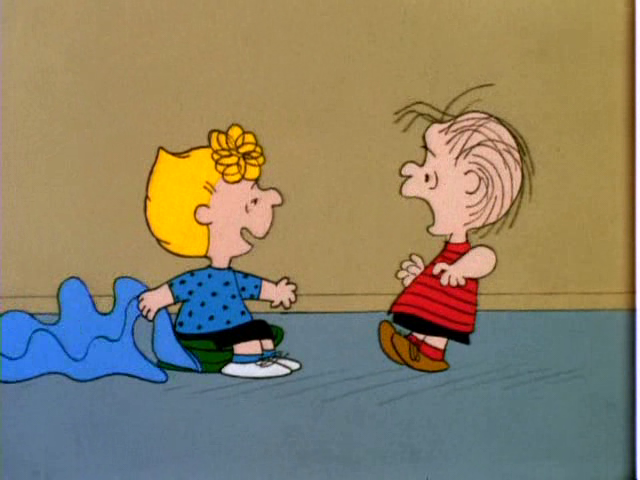 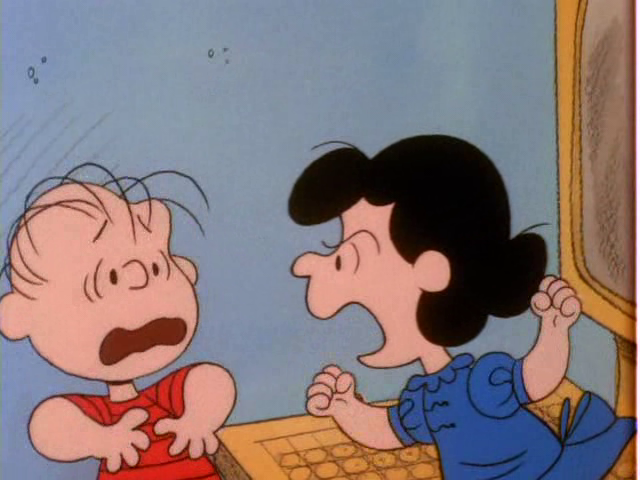 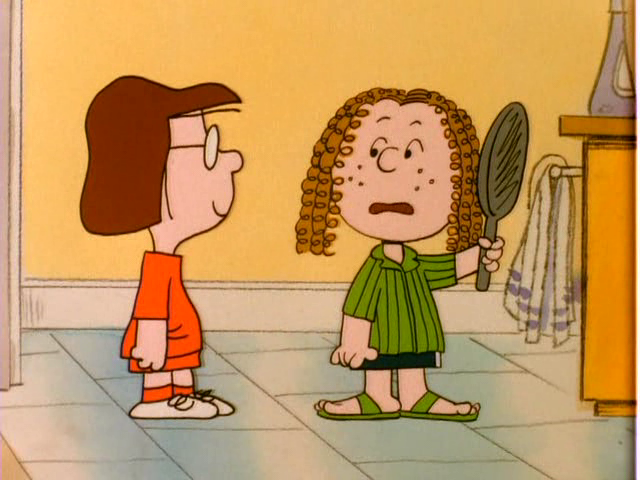 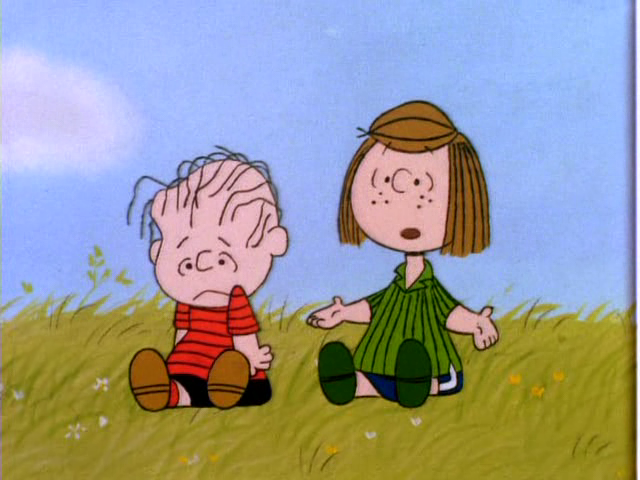 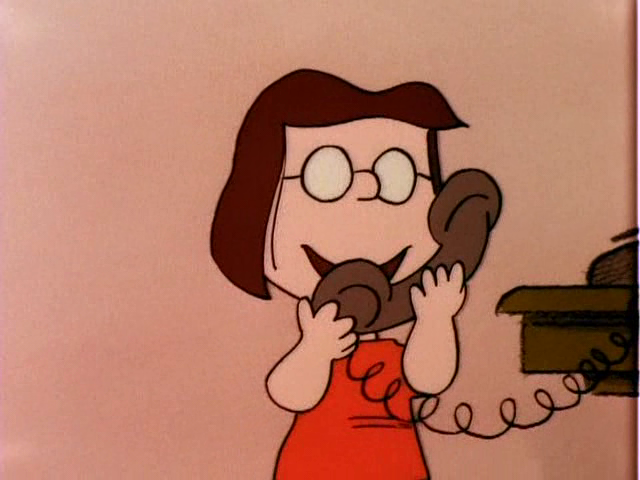 Peppermint Patty thinks that the reason the date didn't go well was because she needed a new hairstyle. 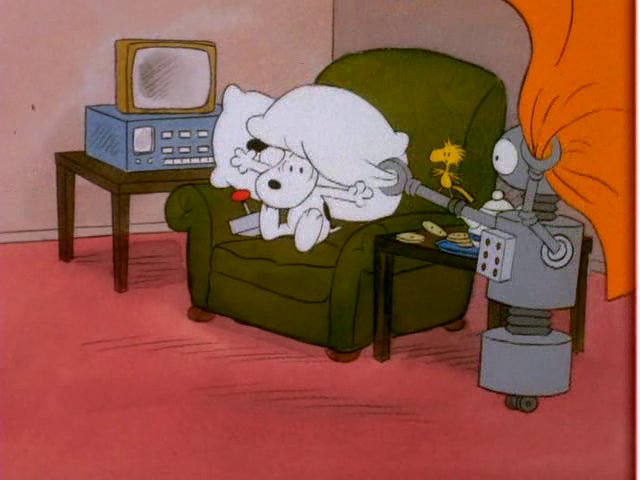 She tries one out, but doesn't like it. 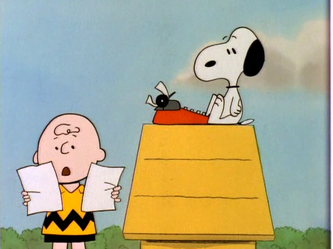 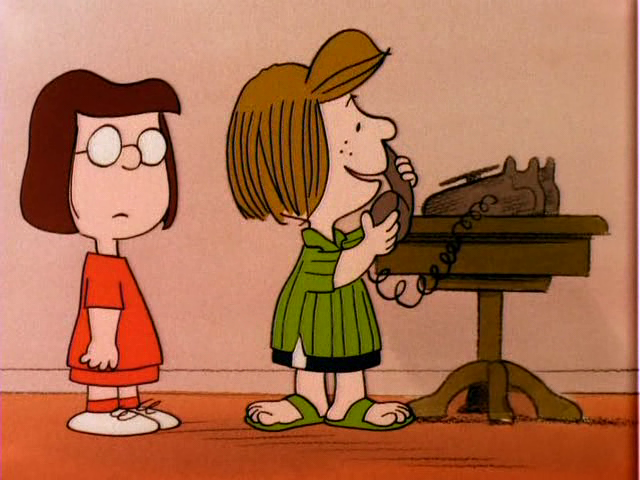 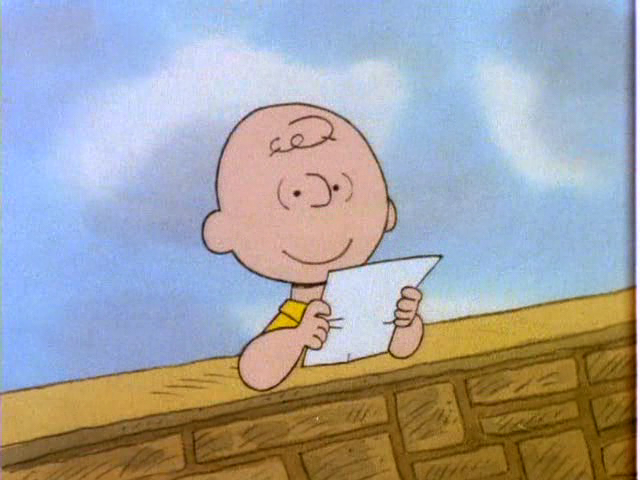 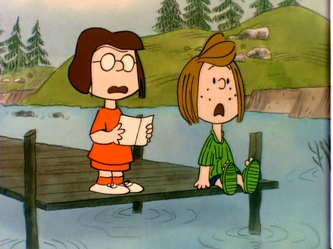 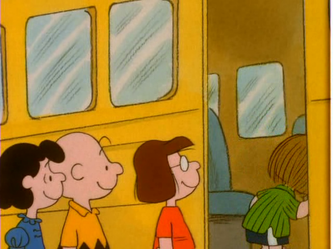 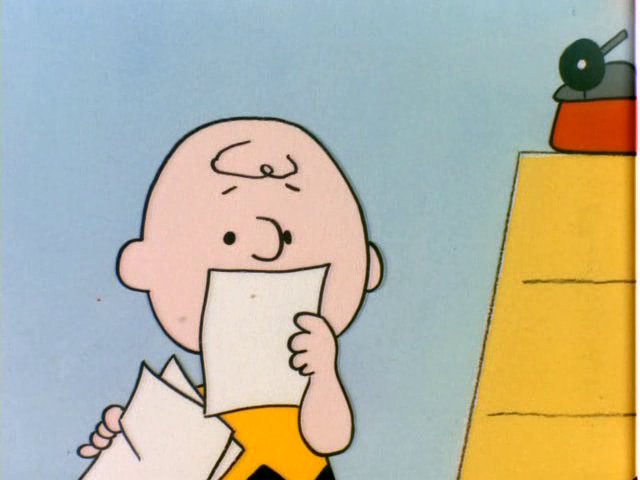 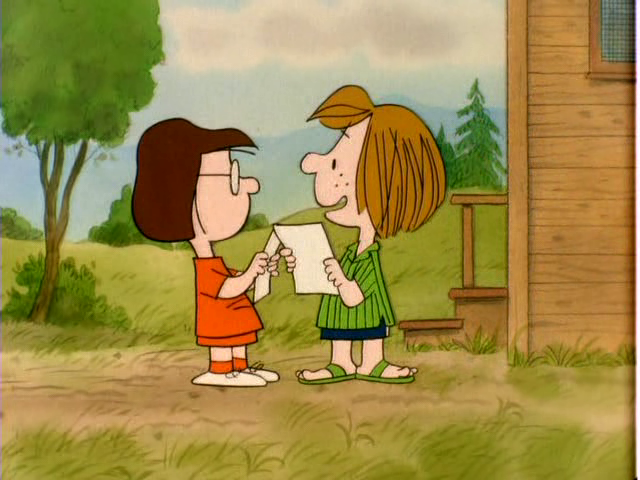 Summer comes, and Marcie and Patty both write to Charlie Brown at camp. 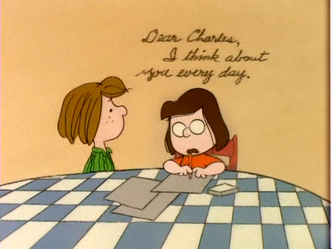 He writes them back, then later on, he asks Snoopy what he should do because two girls like him at the same time. 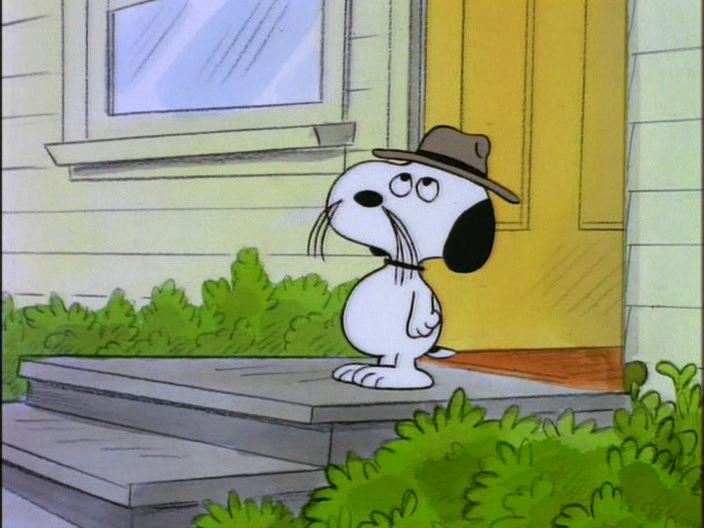 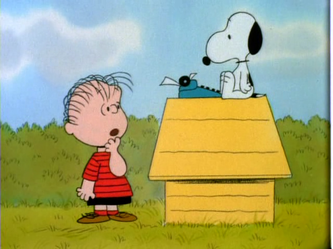 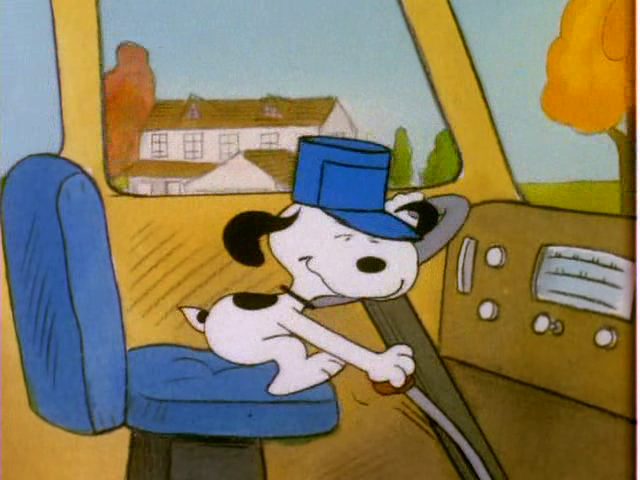 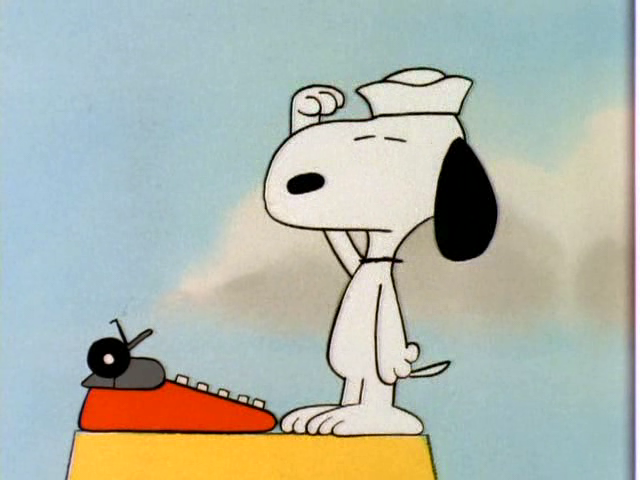 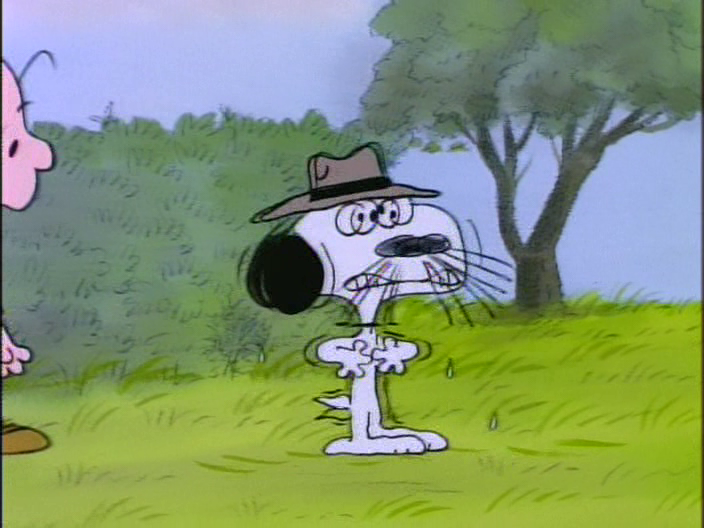 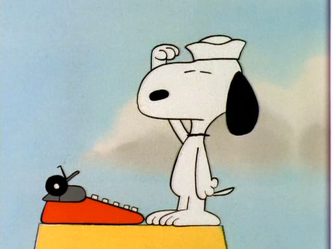 Snoopy suggests he run away and join the Navy for 200 years.